Experience the history, culture, and accessibility of "America's Walking City"
Our stylish contemporary guest rooms have spectacular views of the ocean and city as well as the top-class facilities you'd expect from a Renaissance hotel. We also offer a modern fitness center as well as a lively cocktail bar, with regular live musical performances. Located in the heart of Boston's Seaport District, we are just steps from the best waterfront dining and popular attractions. 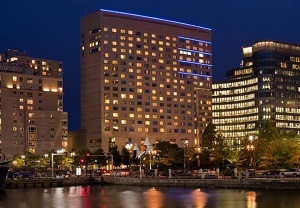 Renaissance Boston Waterfront Hotel has reserved a block of discounted rooms for course participants. *Confirmation of trainee status will be required.